Our new whale watching boat seats 87 passengers and takes a crew of 5. There is a top viewing deck that seats 28 passengers, while the front viewing deck seats 7. The Whale Cruiser is wheelchair-friendly! 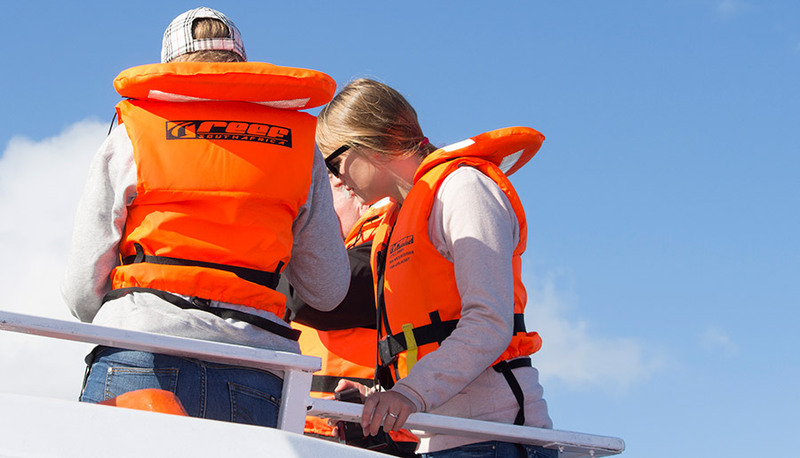 Our whale watching boat, "Whale Cruiser", carries up to 87 passengers. Snacks and mineral water and soft drinks are served during the trip. The operating period is from June to December. No smoking and no alcohol is allowed during trips. Get your own DVD of the trip for R100. It is only a 30 minute waiting period - 15 minutes viewing while it gets recorded and 15 minutes to get your copy!